Participating in the Philip Morris/RJ Reynolds/ITG Brands Loyalty Program? 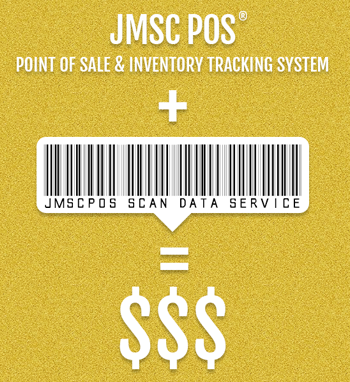 Make it easy with JMSC POS. Get into Philip Morris/UST, RJ Reynolds, ITG Brands loyalty program and benefit your loyalty customers with multi pack promotion and loyalty program offered by Philip Morris, RJ Reynolds and ITG Brands. Participate in manufacturer programs using JMSC POS built in loyalty system. It’s easy! Our one of the most praised features, which has been integrated with a view to make your investment earn for you with each passing day. With a lot of companies rolling out reward policies & schemes for their loyal retailers, the Scan Data function earns back for you with each sale you make. The Scan Data function makes available part of your sales data, which is particularly only the sales figures for trend analyses and studying for companies such as Philip Morris, RJ Reynolds, ITG Brands etc. JMSC POS is certified with major companies for Scan Data. These companies provide motivational incentives for providing such sales trends data at regular intervals. Such data is asked for, to improve their production & delivery timelines to various regions as well as restructure any or all sales promotion-based activities for further driving up their sales. The benefits of these reports, which need to be sent regularly, is reflected in your bank accounts through our Buy Down function! But many other POS systems don’t offer this service, so you have to be limited with extra earning and incentives. Thankfully, with JMSC POS, your scan data can be easily shared with them. Many companies like Altria, RJ Reynolds and ITG Brands make use of this data to improve their inventory process and to gain insight into what is selling and what is not. In return, they offer you discounts that can be passed right back to your customers, allowing you to be more competitive in your pricing. And there are even more than financial incentives. Vendors often use the data to help you with reordering and maintaining sponsored promotions. Start taking advantage of this great opportunity for more profit. JMSC POS submits the necessary data for you to comply with the program requirements. We collect $350 yearly per store for providing this service. 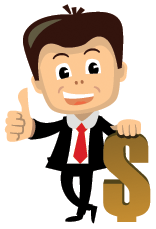 Though you may earn much more using this service. To use our Scan Data service, you need to have JMSC POS yearly support package active.